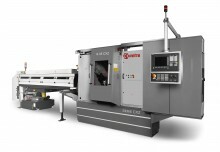 AMT Machine Tools provides sales and service for CNC Multi-Spindle Lathes in Ontario, Canada as well as conventional multi-axis CNC lathes. We started as a machinist so we know the daily challenges facing manufacturing and machining. 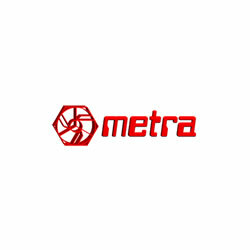 METRA MULTISPINDLE MACHINES was formed by a group of engineers with over 25 years of experience specializing in CNC Multispindle Automatic Lathes. Cam multi-spindle machines have been a popular choice for high volume production during the last decades. In the 21st century, companies are demanding more easy-to-use multispindle lathes, while machined parts become more complex. While these cam automatic lathes are losing their prevalence they still are the right solution for specific jobs. If you need to machine your precision parts from forgings (blanks), your best-customized option will be our CNC Chuck MULTI SPINDLE LATHE (CXZ Chuck SERIES), equipped with 6 or 8 spindles. We have all kinds of attachments and machine tool parts for your Multi-spindle lathe. Thanks to the different attachments available for your multi-spindle, you can perform many operations simultaneously with high precision and speed. Just let us know what you need and we’ll take care of it. Contact us for information on these and other machine tools.